Easy to use by design, the Micca M153A 15-inch (diagonal) digital photo frame is ready to go right out of the box. No complicated setup, simply insert a SD card or USB drive with photos, turn it on, and it does the rest. All you and your loved ones have to do is sit back and relive those treasured memories. The NEO series is our best digital photo frame, with exclusive design and premium materials and construction. 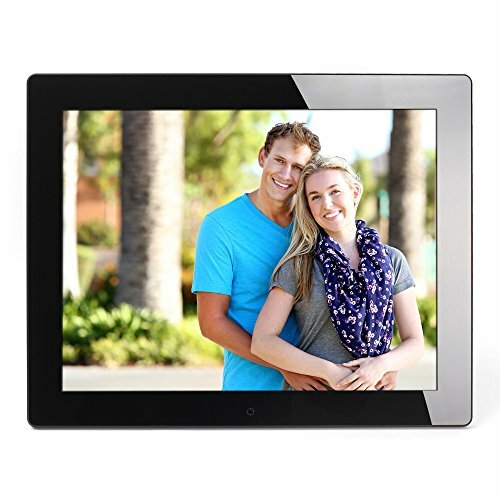 Regardless of size, every NEO photo frame has a high resolution LCD screen with vivid colors and in exquisite detail. Along with excellent brightness and view angles, your photos will look stunning from anywhere in the room. Get full control over your photos and how you want them displayed, whether in random or sequential order, cropped or framed format, plus a selection of transition styles to help you dial in the perfect visual effect. A built in remote control storage slot keeps the remote out of sight yet handily available. In addition to the included table/shelf stand, the photo frame is compatible with VESA 75mm wall mounts, opening up possibilities to creative placements anywhere in the home or office. Timer based automatic on/off control is convenient and saves power. Set the photo frame to start and stop based on a daily, weekday, or weekend schedule - perfect for both the home and office! In addition to photos, NEO photo frames also play popular video formats including MP4 and MKV videos encoded with H.264 and MPEG4, at resolutions up to 720p. Enjoy your favorite MP3 music files played through the speaker or headphone jack. This Certified Refurbished product is tested & certified by Micca to look and work like-new. The product includes all original accessories, and is backed by a 90 days warranty. 15-Inch (diagonal) high resolution 1024x768 LCD screen with vivid colors and in exquisite detail.